Codemasters is at it again with the recent release of GRID 2 and we were lucky enough to receive a review copy to see if the sequel was worth the wait. GRID, spawning after DiRT was released with new fast looking races and similar licensed cars to those seen in the Race Driver games, it was a likely formula to a good racer. 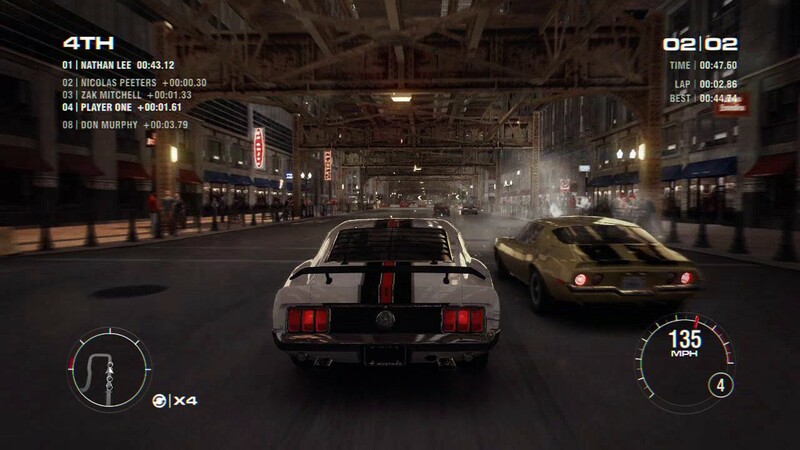 In the sequel, we still get that breakneck speed and replays to correct a race losing mistake, but this time with polished graphics and improved AI. There is a lot more focus around the online aspect as RaceNet has been juiced up to keep us hooked, so it’s time to see if the sequel was deserved or if it went the way of DiRT Showdown. I had forgotten just how fast the EGO Game Technology Platform was capable of being, that being said, I started on easy for frustration’s sake of grasping the gamplay. The online was vastly upgraded, making navigation and finding matches easier. Best of all there is a bustling community, providing a variety of opponents, and less time trying to find someone to play against. Visually, it looked stunning from the tracks to the cars, that is until the two collide, then the wreckage looks even better. The car list offers a decent variety of sports cars and exotic race cars based on your individual racing style and does a good job of ramping up the difficulty through the multiple tiers. There were some changes that stood out to me during gameplay and the first would be the lack of cockpit view. While I did use it more in the DiRT titles, as online races were more fun when all participants were racing in cockpit view. This is a minor change for those that typically race in the outside of the car view, which is myself, at least in the single player mode. 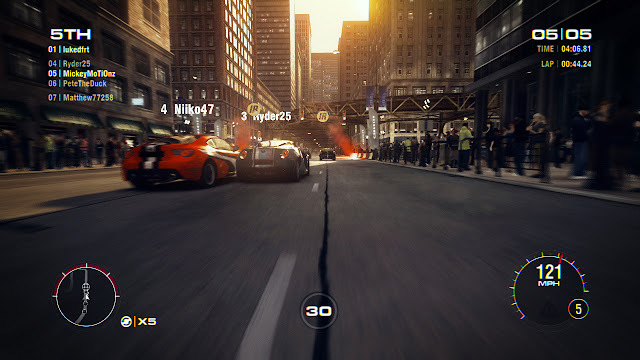 Next is when breaking, the camera goes into a slow motion effect, which was unique at first, but I quickly found it annoying and taking from the breakneck gameplay that had me edge through, ofeten finding myself white knucked and holding my breat through races. GRID 2 was a lot of fun, just about what i was expecting in terms of gameplay. 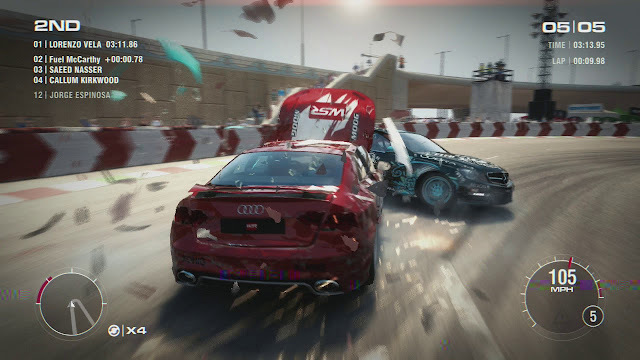 While I always like having both a racing simulator and an arcade racers, I have preferred Codemasters’ racing games for my online experience as they provide a fun racing experiences without being very technical and not trying to shove some story into the mix. This does try to push some story in but nothing compared to that of the Need For Speed titles or Forza’s latest attempt with Horizons. 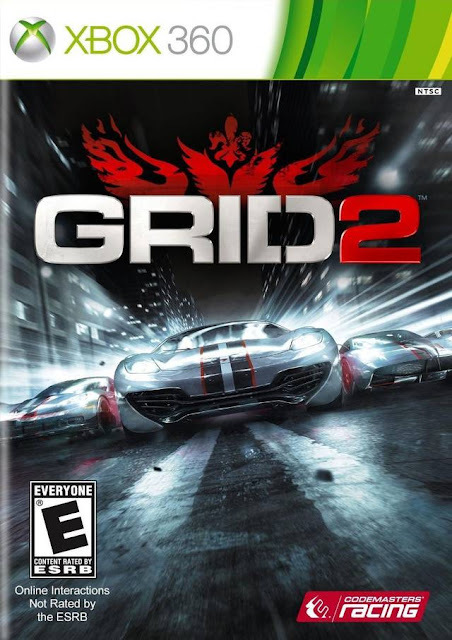 Sure the single player in GRID does not provide anything groundbreaking in the experience, I will admit it is more of a tutorial to learn the mechanics and prepare you for online play, in which I quickly changed a couple hours in to where I really lost track of time.